AgroAtlas - Relatives - Onobrychis bungei Boiss. - Bunge.s Sainfoin. Onobrychis bungei Boiss. - Bunge.s Sainfoin. Family Fabaceae Lindl., genus Onobrychis Mill. Perennial herbaceous plant 25-50 cm tall. Leaflets of lower leaves broadly oval. Corolla 10-12 mm long, pink-purple. Pods 5-6 mm long, semicircular, adpressedly and shortly pubescent, shortly dentate on disc. Raceme 3-6 cm long, elongated after flowering. Flowers in May . June, fruits in July - August. Self-incompatible, cross-pollinated plant. 2n=16. On dry stony slopes up to middle mountain zone. Brezhnev DD., Korovina ON. 1981. Wild relatives of cultivated plants of the flora of the USSR. Leningrad: Kolos. 376 p. (In Russian). Galushko AI. 1980. Flora of the North Caucasus: Handbook. V.2. 352 p. (In Russian). Grossheim AA. 1952. Flora of Caucasus. 2nd ed. V.5. P.358-376. (In Russian). Grossheim AA. 1948. 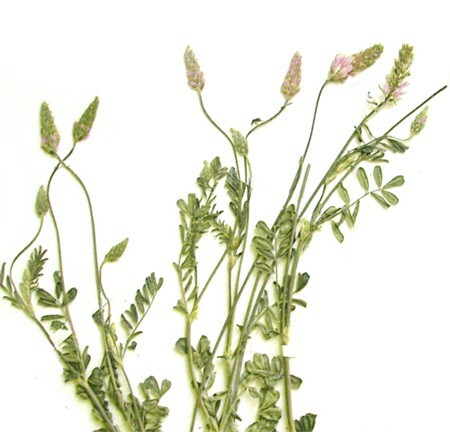 Sainfoin - Onobrychis Adans. In: Shishkin BK., Bobrov EG., eds. Flora URSS. V.13. P.319-367. (In Russian).